RK says.. mom saying same thing.. Biwi Dieting ..to no Fighting! Radha feeds Madhu saying Please..! Madhu assures to eat on her own! RK thanks his mom n she leaves! RK sits on a chair n watches Madhu eat! Suddenly lights go off.. n Madhu is scared.. RK surprised! Sultan enters someplace! He lights up the lighter..! Right then RK lights up the lighter n tells Madhu he is with her.. forever..n not to be scared! Aryan calls out to Sultan n they hug! Aryan apologises for being scared.. n Sultan says..its ok ..! Sultan recollects Madhus words about fear being proof of being alive..! Aryan asks if he will get Madhu back ..if he stays as good boy Kaka calls out Aryan ..! RK lights up a candle n Rishbala eyelock Both are emotional .. but Madhu looks away n so does RK! RK lights up the entire room with candles BG- Hum hai tere dewane! He comes n sits next to Madhu n asks her to tie the dupatta on his wound! She walks away ..! BG- Tujhe sochta hun main shamo subah..! Winds blowing.. RK sets Madhus locks.. touches her cheek! RK tells Madhu ‘Aab ye zakhm tumhe hi sambhalne hain’! Madhu starts to tie the dupatta more tightly! RK thinks of past with Madhu … Madhu too..! She cries! Madhu tells RK that..he is like that arrogant king..who thinks the sun rises for him ..to dry his pappads! RK says..he doesnt eat Pappad n is everything connected to him?..! Madhu turns n walks away …! Madhu is asleep on the couch n RK pats her hair.. n drools on her..! RK turns Madhu around n helps her to rest her head on his chest… ! Flashback of studio night! Precap — Madhu wakes up and finds herself in bed with RK … ! She sees her cell .. Trish is calling..! She turns to lift the phone .. n finds her hand locked with RKs.. thru handcuff n RK says.. ur Pati Parmeshwar is here! Next day morning.. Paddo-Trish return from Shirdi talking of how good their darshan was and think of Madhu…! Trish says..that now once they return home they dun have to cook..only order tea! Paddo knocks on the door n then notices its locked..! She wonders where Madhu must have gone? Trish says..m ust have gone for some work! Paddo insists Trish to call Madhu! Trish calls Madhu..! Madhu wakes up holding her head and notices she is by RKs side on his bed..! She notices her phone buzzing n is about to pick up when she notices her hand is locked with handcuffs to RK n he says..where are u going Biwi? Ur Pati Parmeshwar is here..! Madhu tries to answer the call but RK snatches her moby…cuts the call ..! RK says.. its Sali jis phone! Trish says Madhu cut the call..! Paddo is worried..! Trish says. Roma nicked her correctly Mother India…Madhu must be busy in shot! Paddo says..since last night? Paddo tries Madhus cell n notices that its switched off..! RK wishes good morning to Madhu n Madhu asks what does the handcuff mean? She asks him to remove it.. RK says.. ‘Tumhara dil mere pyaar se bandha hua hai.. par tumhara shareer tumhare dil ki nahi sunta.. to kya pata tumhara shareer bhag jaye’ He says..he wants to keep her close..real close! Madhu asks him to open the handcuff now! RK says..these eyes.. so much depth in them .so much fire.. missed it.. these eyes..which loved him.. these eyes..that wanted him … these eyes.. that closed for him.. ! Madhu tells RK to open the handcuff..! 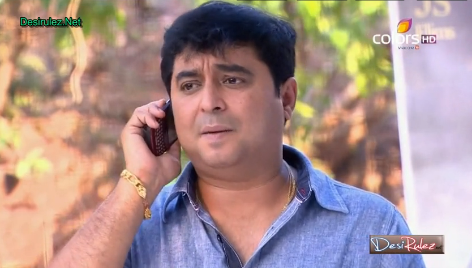 Paddo calls Bittu and asks about Madhu ..! Bittu stammers and Paddo asks him to speak out..and if Madhu is in trouble? Bittu says.. nothing has happened to Madhu ..she is with RK..! Paddo is shocked..! Bittu tells her that Madhu has returned to RK ..at the mansion.. n that he cant tell her more now! Paddo asks him to let her talk to Madhu .. Bittu assures he will! He wonders what new lafda RK is gonna do now? RK asks Madhu to answer his question .. he says that only RK has the right to think about her.. dream about her.. desire her… then on holi day..why did THAT MAN put color on Madhu n why did she put color on THAT man? RK says..this is their story.. Madhubala ek ishq ek junoon.. its RK and Madhu story not Madhu and Sadak Chaps story..! RK asks Madhu to answer n Madhu says..if she answers..it will be an insult to herself..! RK says. .he wont open the handcuffs.. no matter… if anyone calls him violent..or alleges him for manhandling her.. or calls him mad ! Madhu says..she is not his pyschiatrist.. n he cant force her to answer! She says..he cant force her.. n RK says..he is her hubby n Madhu says..he is not! RK asks.. really? So is he a stranger? Fine..! RK says.. that then the stranger will change clothes coz he is feeling hot n she will be tied to him…! Madhu asks RK to let her go..! RK starts to unbutton his shirt n Madhu explains that…Sultan coloring her was an accident n she put color on him to save him from enemies..! She says..it was the need of the moment..! Madhu asks RK to open the handcuff..! RK says.. he believes her.. and he is now at peace..! RK opens the handcuffs..! RK says..a normal cat cannot be tied to one place.. but she is HIS JUNGLI BILLI … n he loves jungli billi ..so he cant take chance with her…! RK locks her to the headboard.. n Madhu screams.. leave me..! She asks him why he is locking her again? RK says.. she said.. he does not need to worry.. n that she loves him .. so he is relaxed.. n she is hers.. she is gonna be his trophy .. his private property.. his jungli billi! Madhu screams… to leave her.. but RK walks out..! Bittu comes home and tells Radha that Paddo had called n wanted to talk to Madhu.. seems she does not know what happened with Rishbala! The landline rings at the mansion n Radha wonders what to tell Paddo..! She receives the phone n Paddo asks Radha what is happening n what is Madhu doing at the mansion! Radha apologises.. n Paddo asks for what? She asks Radha to let her talk to Madhu.! Radha goes to call Madhu ! RK comes out after getting fresh and sees Madhu struggling with the handcuff..! RK says..Madhu din fulfill his wifely duties.. where are his clothes? RK says..he is trying to be an ideal hubby n she? Madhu says..open the handcuff..! She says..he is tying her like an animal n then asking her to calm down! RK says.. dun call urself animal ..! RK says ..what if he forgot he had tied her n would have left for shooting? RK says.. he is joking.. he is Right Kameena.. not king cobra.. n opens the handcuff..! Madhu turns to leave..and RK holds her arm..! Radha comes.. and gives her the landline.. says her mom has called! Madhu receives the call ..! Paddo screams on Madhu n asks why she is there .. n why she din inform her? She asks Madhu if she is with RK or not? Madhu says yes..! Paddo asks..why ..she is with RK? Madhu asks her to calm down n says..there is nothing to be worried for..! She says.. the entire cast n crew is at RKs home.. n that since RKs look is changing so they are all at RKs place! RK smirks.. ! Radha is in dilema! Paddo says.. Madhu is lying.. n Madhu says.. no ..she is here after completing the shoot! She tells Paddo she will call later! Paddo asks Madhu to come soon and asks her to stay away from RK and not tolerate his humilation! Madhu says..she wont tolerate..! Madhu cuts the call..! Radha leaves the room! RK tells Madhu to bring his clothes.. and says to get clothes that befit a superstar n says.. that she better not bluff that she is not interested him …coz if she wasnt ..then she wont have lied to her mom! Madhu says..she din lie coz she wanted to stay here ..rather..to ensure Paddo doesnt get hassled.. n get more sick! RK says.. fine ..lets assume she is telling the truth. .no matter what the reason.. the result is she is here..with him…! RK asks Madhu to give him one chance! Madhu asks RK what he wants? RK says..that thing there is in the left side..she has.. n he does or does not.. RK says..he wants Madhus heart! Madhu says.. he gave her.. n then he broke it..crushed it.. burned it. .now she does not have any heart..! Madhu does not look at RK! Precap — RK says.. she does not have a heart? RK closes in on Madhu .. n she falls back ..on the bed..! RK asks again..she does not have a heart? Madhu keeps saying . .no..! RK says.. to listen to the heart.. its the original sound.. Dhak Dhak.. what is there between them.. its making her heart beat..! Madhu looks at RK!